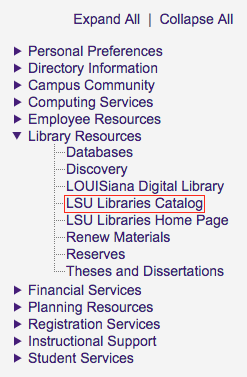 The LSU Libraries (http://www.lib.lsu.edu) offers students and faculty strong support for instruction and research through collections containing more than three million volumes, microform holdings of more than four million, manuscripts of more than twelve million items, hundreds of electronic databases, and tens of thousands of electronic books and serials. Middleton Library houses the main collections. 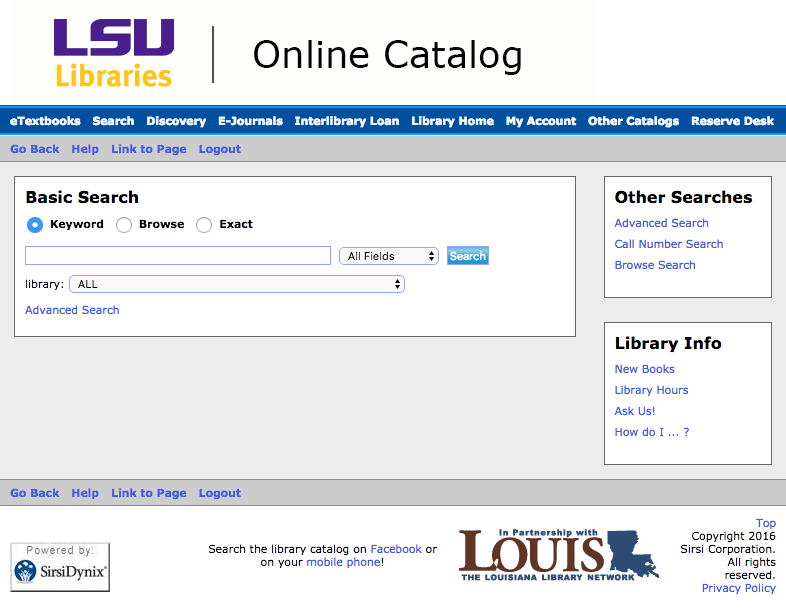 Assistance in searching the catalog is available in person, virtually, and by phone. Guidance in using an academic research library is available by registering for LIB 1001 for one credit hour or by asking for assistance at one of the public service points.